Finance your dream home in Honolulu Imagine buying your dream home. Connect with a lender to help you make it happen. At Hawaii Mortgage Experts, our mission is to simplify the mortgage process for you all while offering you the best possible mortgage. We listen to your specific needs and custom tailor the mortgage solution that best suits your financial goals. In today’s market, its especially important to partner with the Mortgage Advisor who puts your needs before their own. A complete product mix including VA, JUMBO, FHA, USDA, and Conventional loan types, combined with numerous lender options places HME in a position to offer you all loan types while not being constrained to one bank. HME has a full in-house processing staff that will guide you through the entire loan process. Our processing staff provides excellent customer service and a quick turn-around for all your financing needs. As we confidently claim in our company name, we are experts. We are truly Hawaii Mortgage Experts here to help navigate your way to the best possible loan at the best possible price. Please do not submit any confidential information. This will be shared with both Hawaii Mortgage Experts LLC and Keller Williams Honolulu. 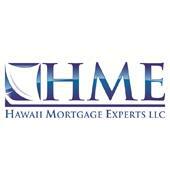 Let me know how I can assist you with your Honolulu mortgage needs. I am here to help!